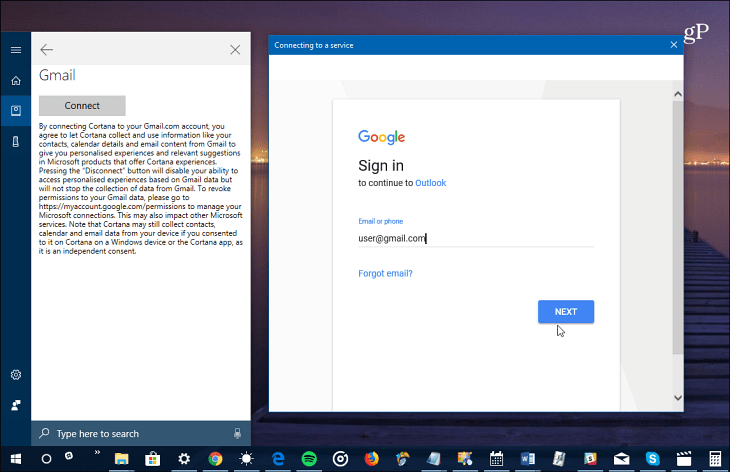 Microsoft now lets you connect your Google account to Cortana. 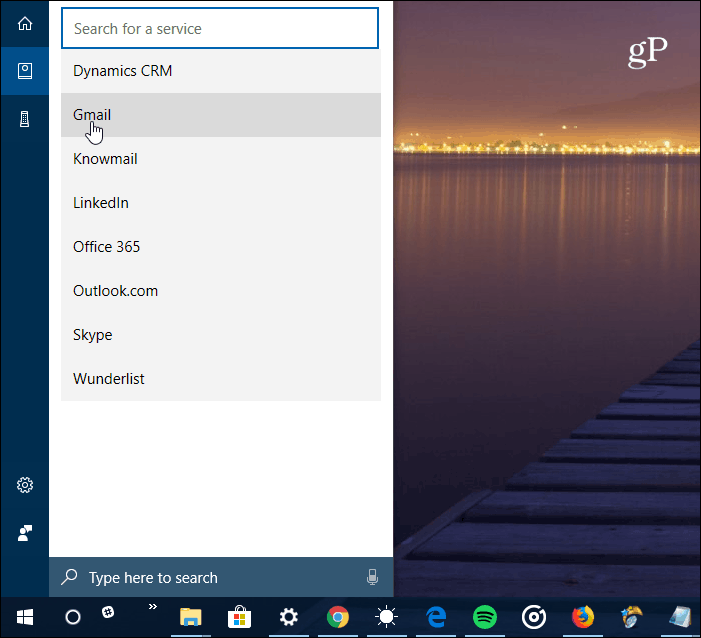 This provides Gmail, Calendar, and Contact support for Microsoft’s digital assistant. 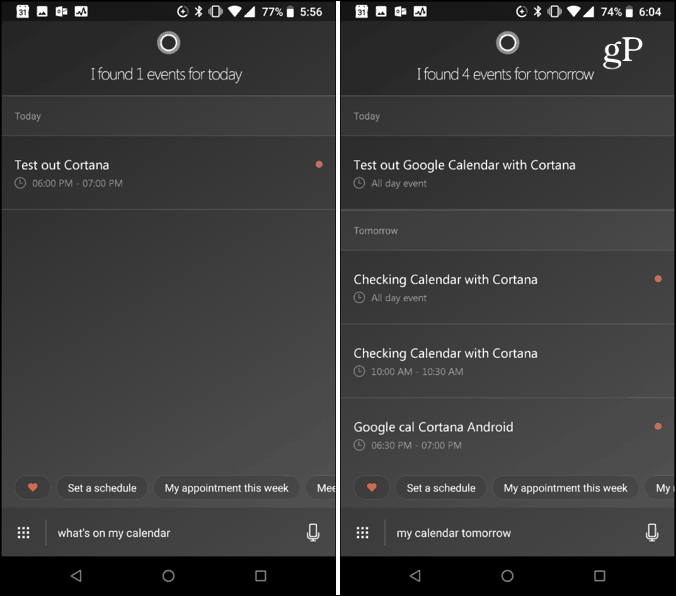 Here is an example of using the Cortana app on Android and checking what’s on my Google calendar. Currently, not everything works as fluidly as it does with Microsoft mail and calendar and it isn’t known how integrated the two will be. For example, if you connect your Outlook account, Cortana can send you suggested reminders based on your messages. There isn’t a known list of official voice commands yet, but the level of functionality will undoubtedly improve over time. After spending more time with this new pairing we will post updates. Will you link your Google Account with Cortana? Let us know your thoughts in the comment section below. For more discussion on everything Microsoft as well as troubleshooting help, check out our Windows 10 Forums.